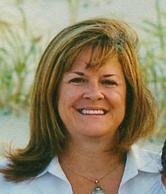 Susan Martin is the founder and President of Pay Cape Cod. With over 30 years of experience in small business ownership, she understands the importance of quality service and listening to her customers’ needs. Sue has an extensive background in Quickbooks/Payroll training, installation and processing. Sue is a past president of the Rotary Club of Hyannis, current Treasurer of Eventide Arts, Inc. and also involved with various other community organizations. She currently lives in Dennis with her husband Jack. They have three grown children and four grandchildren.